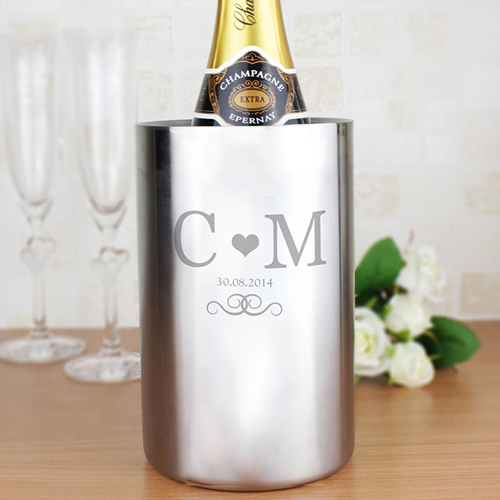 Personalise this Monogram Stainless Steel Wine Cooler with 2 initials and date up to 20 characters. It has double walled insulation for effective cooling and can hold standard wine and champagne bottles. Personalise with 2 initials and date up to 20 characters.